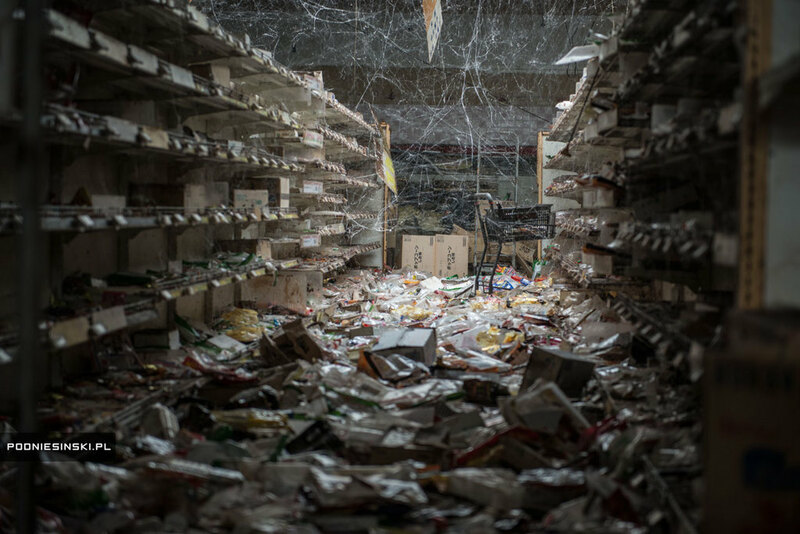 When I visited Chernobyl for the first time 7 years ago, I didn’t think that a similar disaster could take place anywhere ever again, and certainly not in Japan. 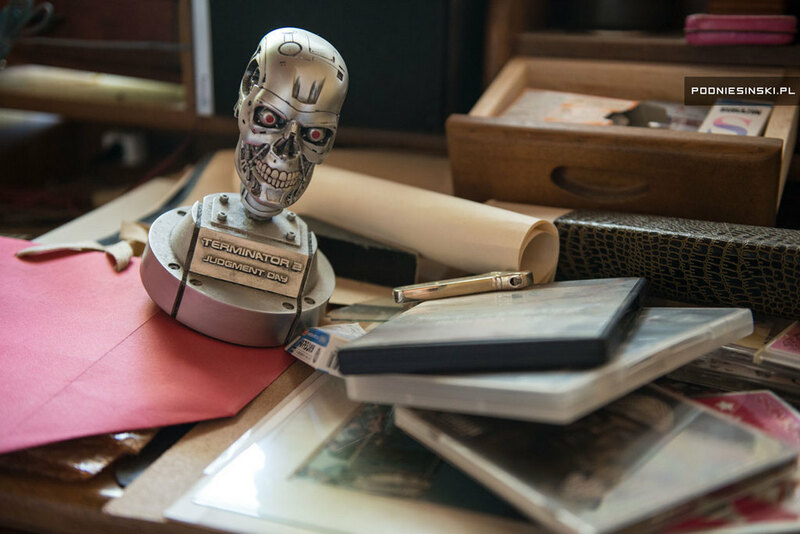 After all, nuclear power is safe and the technology is less and less prone to failure, and therefore a similar disaster cannot happen in the future. Scientists said this, firms that build nuclear power stations said this, and the government said this. 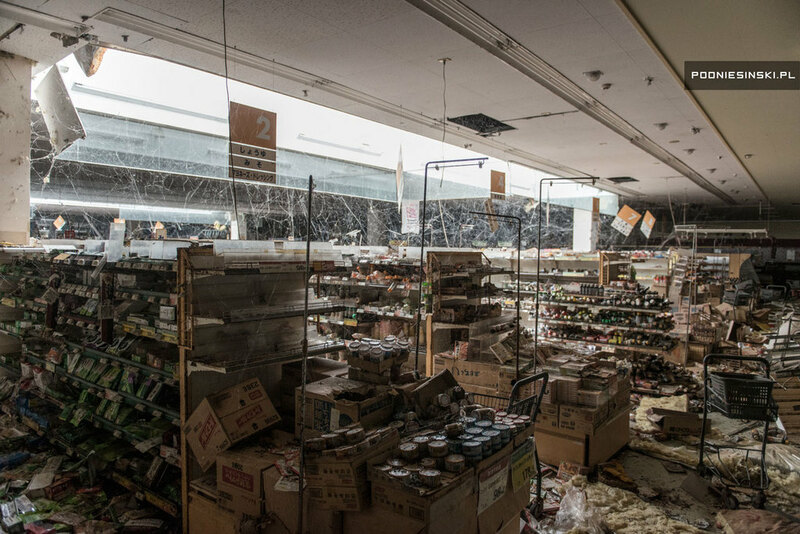 When I was planning my trip to Fukushima I didn’t know what to expect. There the language, culture, traditions and customs are different, and what would I find there four years after the accident? Would it be something similar to Chernobyl? 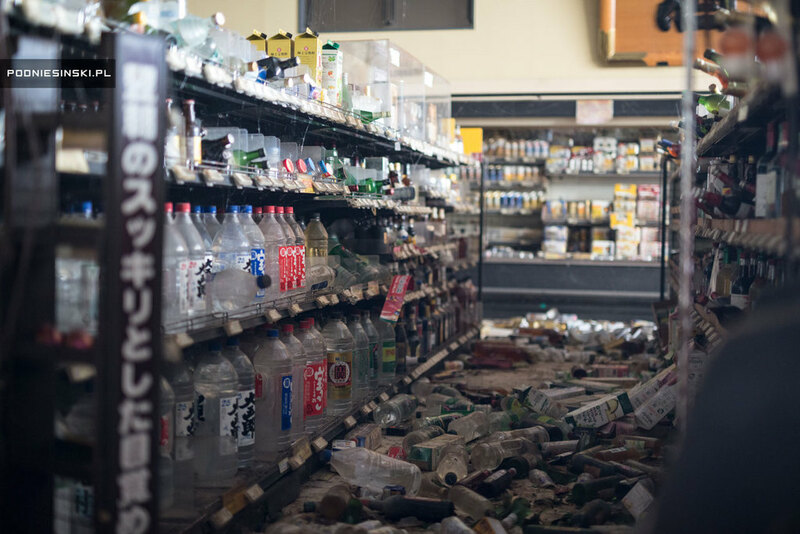 The decision not to come to Fukushima until four years after the disaster is a deliberate one, as most of the destruction caused by the earthquake and tsunami has been cleared up. 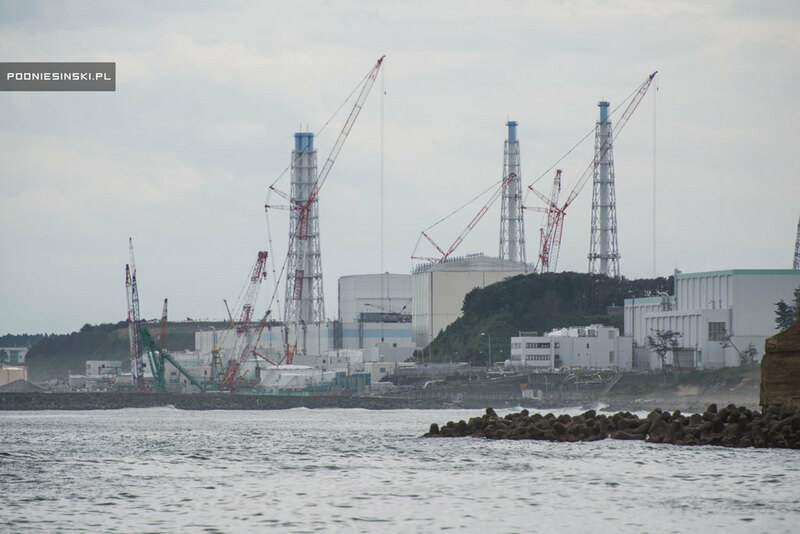 Above all, I would like to focus on the accident at the nuclear power station and the effects it had on the environment and the evacuated residents, and compare it to Chernobyl. For this reason, what I would like to do the most is see the orange zone and the red zone, the most contaminated and completely deserted. In the latter, no clearing up or decontamination work is going on. Here time has stood still, as if the accident happened yesterday. A separate permit is required for each of the towns in the red zone, which is issued only to people who have a legitimate, official reason to go there. No tourists are allowed. Even journalists are not welcome. The authorities are wary, they enquire after the reason, the topic being covered, and attitude towards the disaster. They are worried that journalists will not be accurate and objective when presenting the topic, but they are most likely scared of being criticized for their actions. I try to arrange entry into the no-go zone while still in Poland. 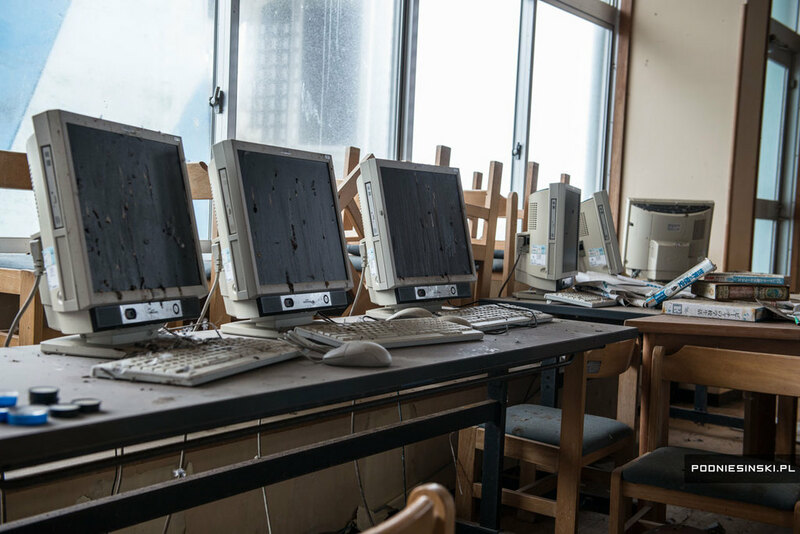 I get help from colleagues, authors of books, and journalists who write about Fukushima. They recommend their friends, they recommend their friends, and they recommend their friends. 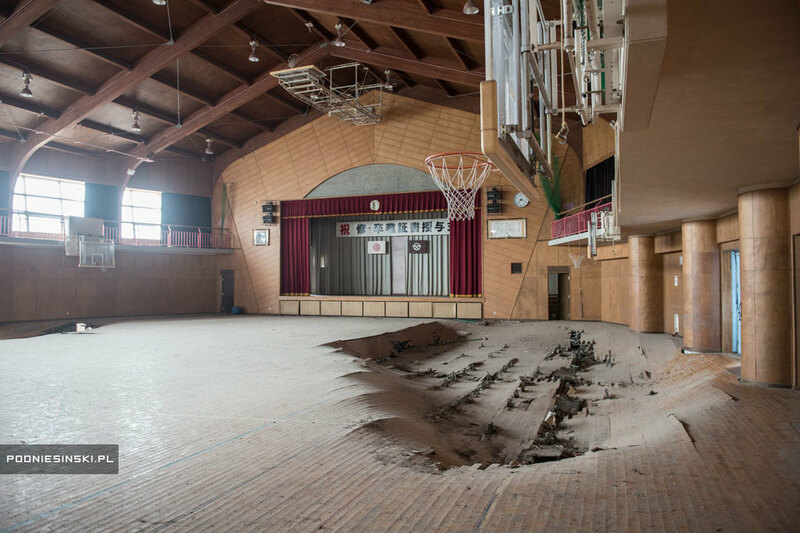 It is not until I travel to Fukushima and spend two weeks there that I am able to make contact with the right people. It turns out that the knowledge I have and the photographs I have taken in my career from numerous visits to Chernobyl convince these people to help me. A week later I have the permit in my hand and can finally make my way to Namie, one of three towns in the no-go zone. 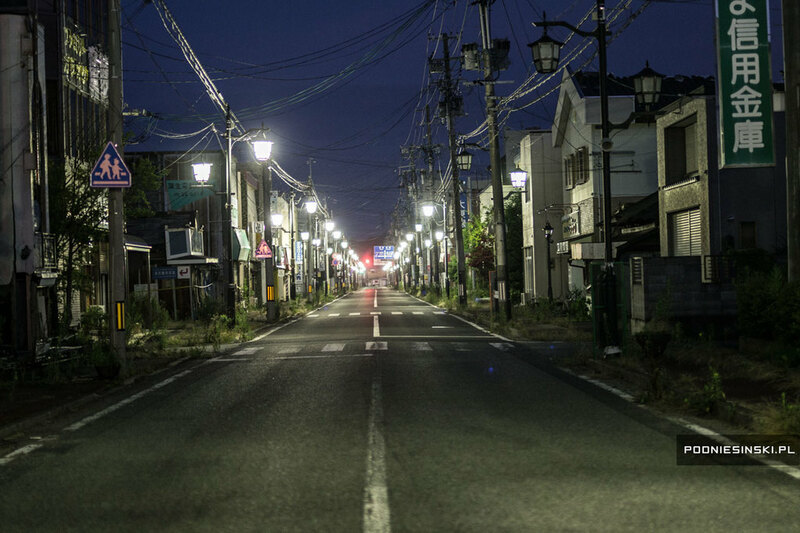 Although the town is completely deserted, the traffic lights still work, and the street lamps come on in the evening. Now and again a police patrol also drives by, stopping at every red light despite the area being completely empty. 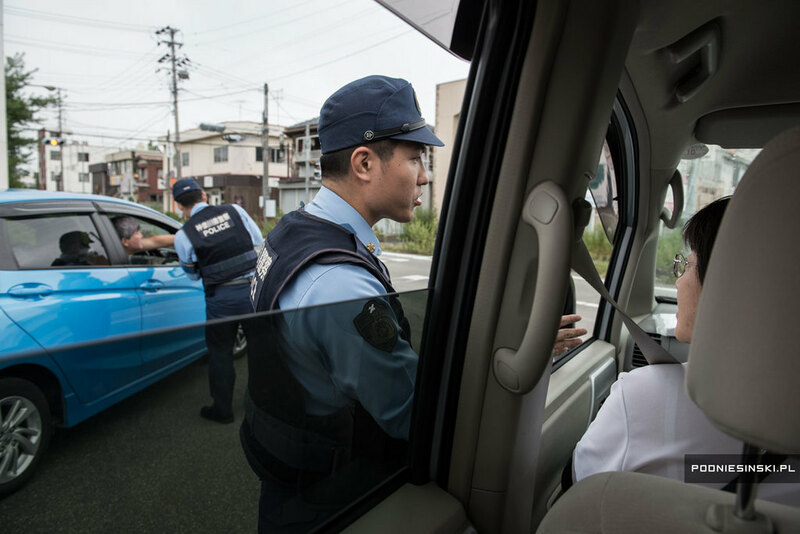 They also stop next to our car and check our permits carefully. 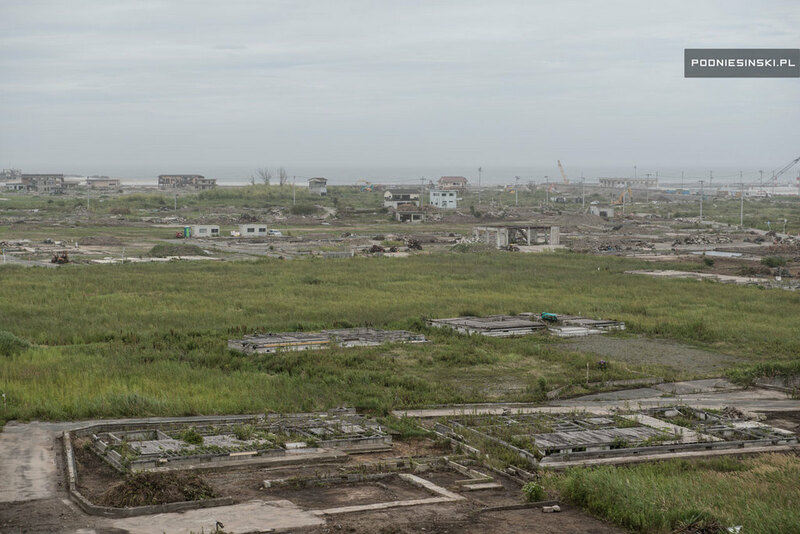 In order to see the effects of the tsunami we go to the coast, where all of the buildings were destroyed. 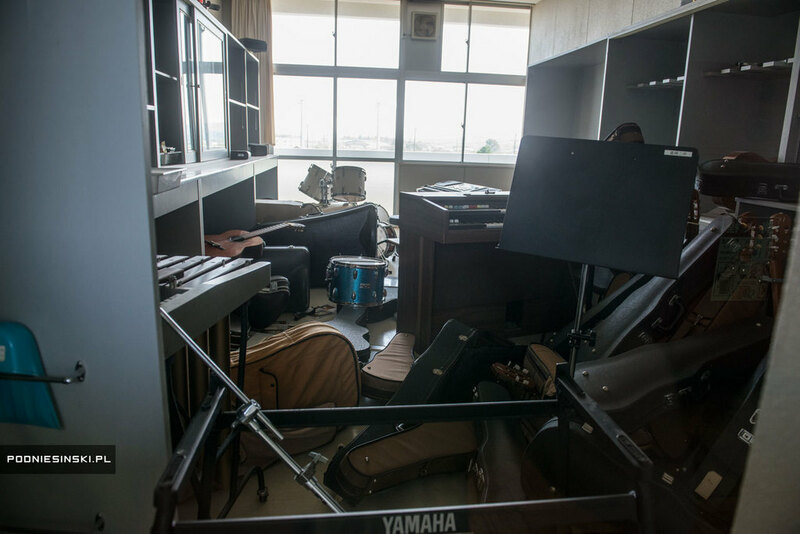 Although four years have passed, the clean-up is still going on, although most of the damage has now been cleared up. Behind the buildings one concrete building stands out, which was capable of withstanding the destructive force of the tsunami. 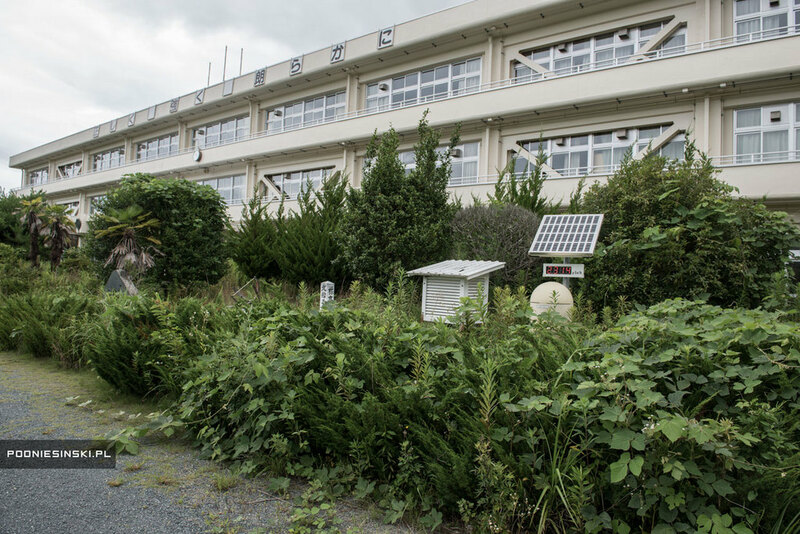 It is a school, built using TEPCO money, where the schoolchildren luckily survived by escaping to the nearby hills. The primary school building that survived is situated a mere 300 metres from the ocean. 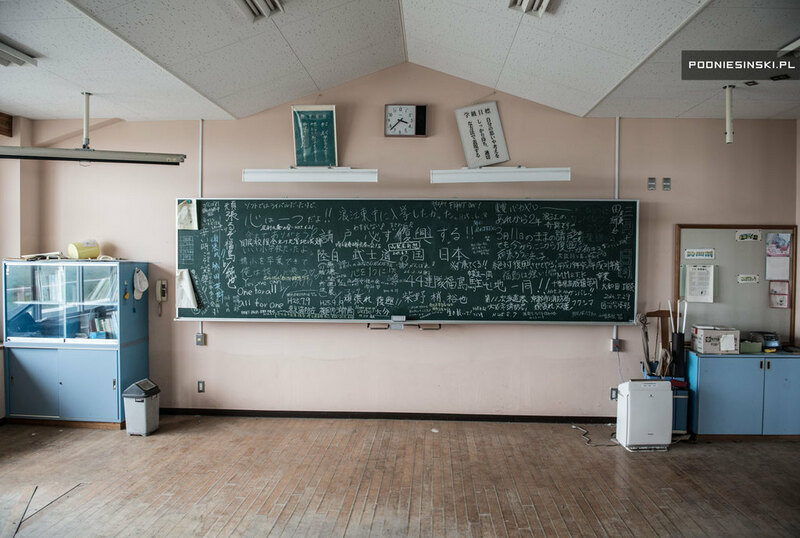 On the tower, as in all of the classrooms, there are clocks which stopped at the moment the tsunami came (at the time the power went off). 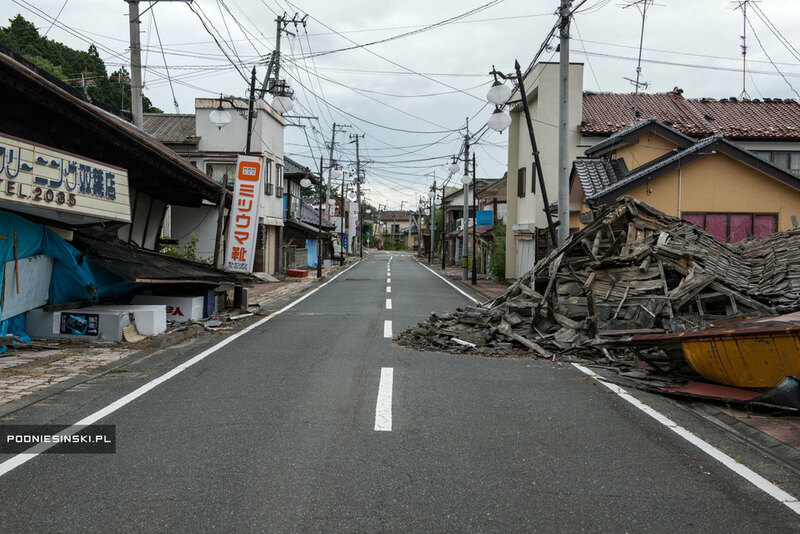 Remains of destruction in the aftermath of the tsunami. A photograph from the school’s observation tower. Namie at dusk. Despite the area being totally deserted the traffic lights and streetlamps still work. Another week of waiting and finally I receive the permit to go to Futaba, another town in the no-go zone. 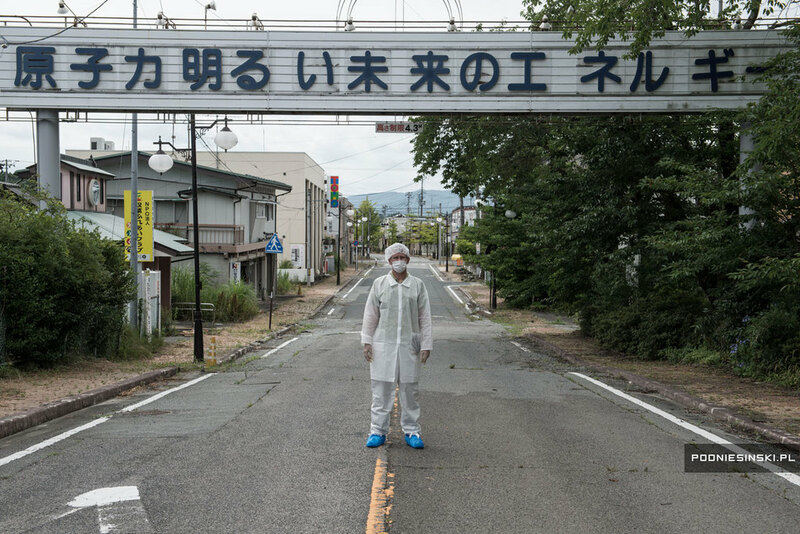 This town, which borders the ruined power station, is the town with the highest level of contamination in the zone. 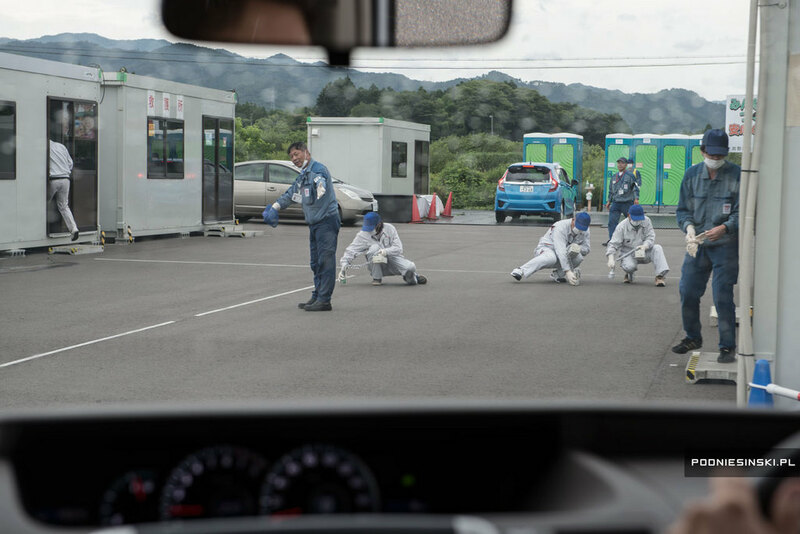 There has not been any clearing up or decontamination due to the radiation being too high. For this reason we are also issued with protective clothing, masks, and dosimeters. The town’s close ties with the nearby power station are not just a question of the short distance between them. 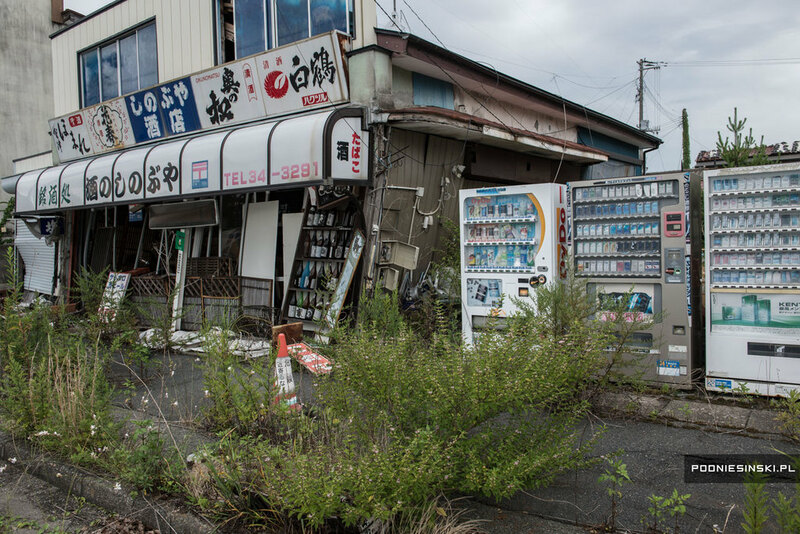 Next to the main road leading to the town centre I come across a sign across the street, and in fact it is a slogan promoting nuclear energy, saying „Nuclear energy is the energy of a bright future” – today it is an ironic reminder of the destructive effects of using nuclear power. A few hundred metres further on there is a similar sign. 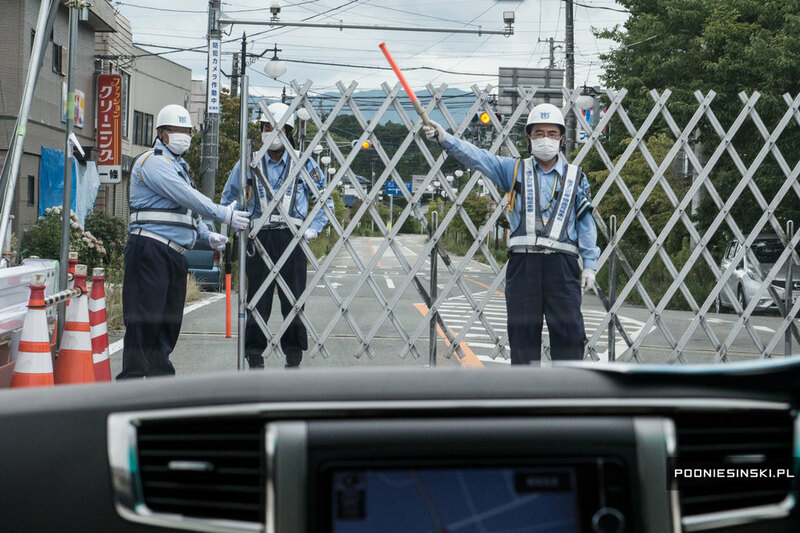 When visiting Futaba, which borders the damaged nuclear power station Fukushima I, I can’t help but try to photograph the main culprit of the nuclear disaster, but unfortunately all of the roads leading to the power station are closed and are heavily guarded. With a little ingenuity one can see it, however. But first I go to see a nearby school. When leaving the red zone there is a compulsory dosimeter checkpoint. 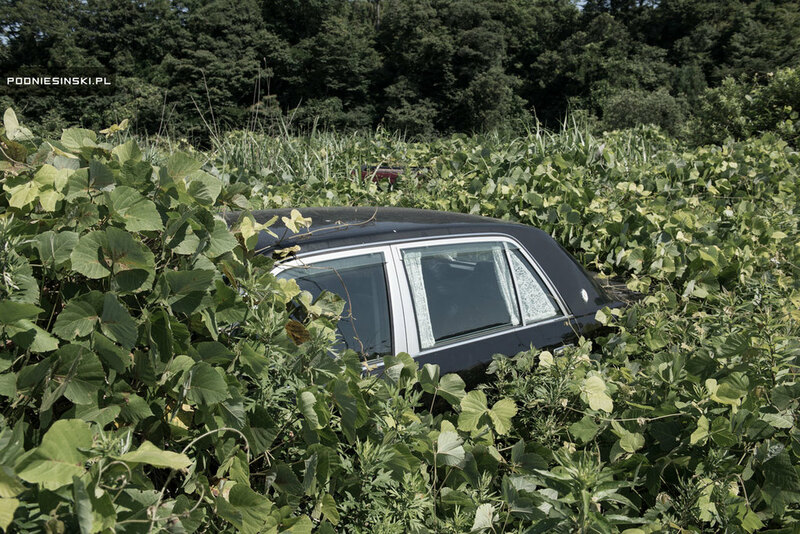 In the vicinity of the red zone I happen to notice an abandoned car. It is hard to make it out from a distance, it is almost completely overgrown with green creepers. When I get up closer I notice that there are more vehicles, neatly organised in several rows. 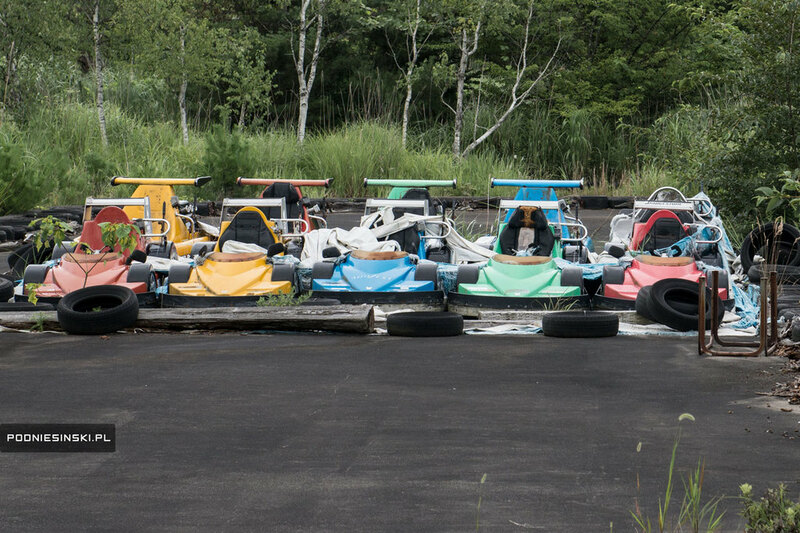 I guess that the cars became contaminated and then were abandoned by the residents. A moment later the beep of the dosimeter confirms this. 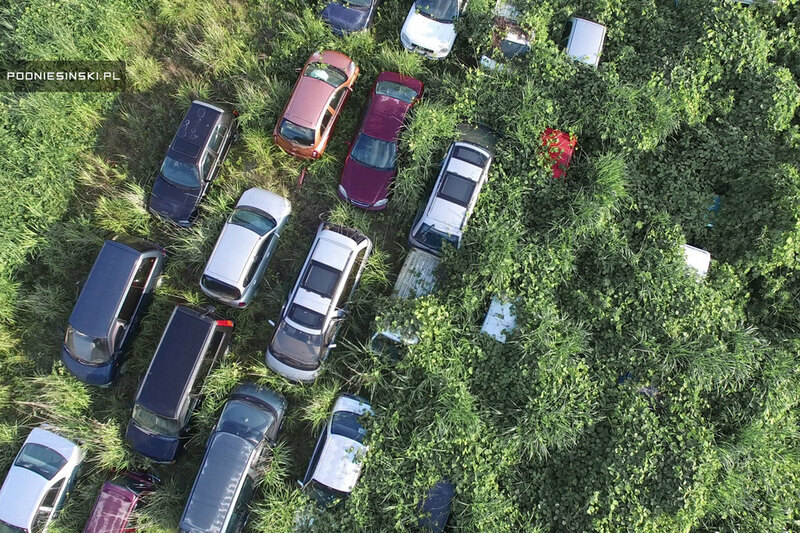 Site where vehicles have been dumped. Aerial photograph. While I am in the zone I devote a lot of time and attention to taking photographs of the interiors. 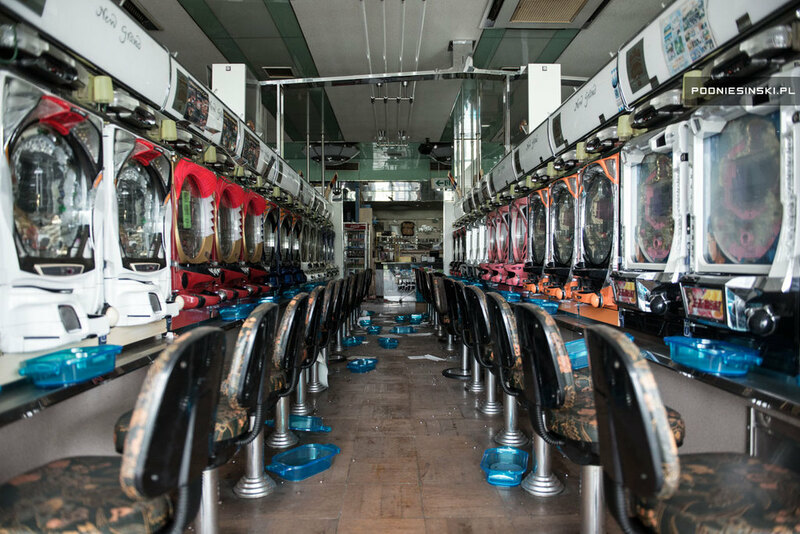 Photographs of this kind give a very good illustration of the human and highly personal dimension of the tragedy. 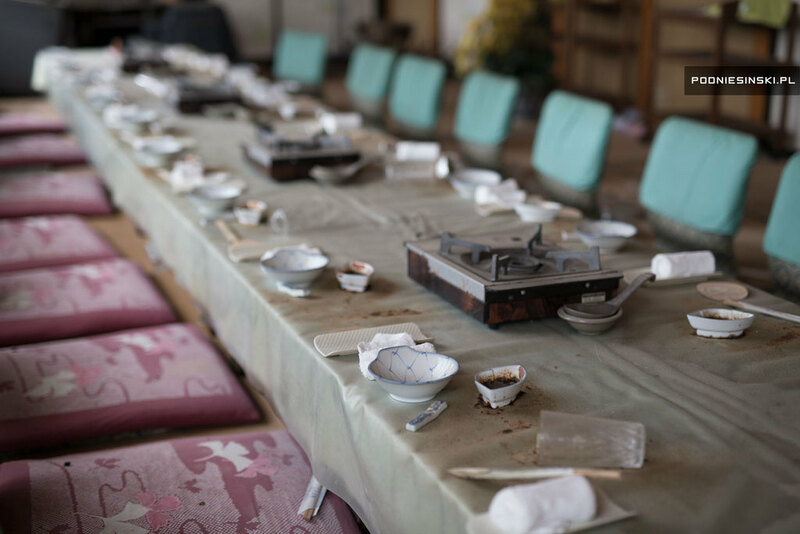 They also make us aware of what the residents of Fukushima lost and the very short time they had for the evacuation. 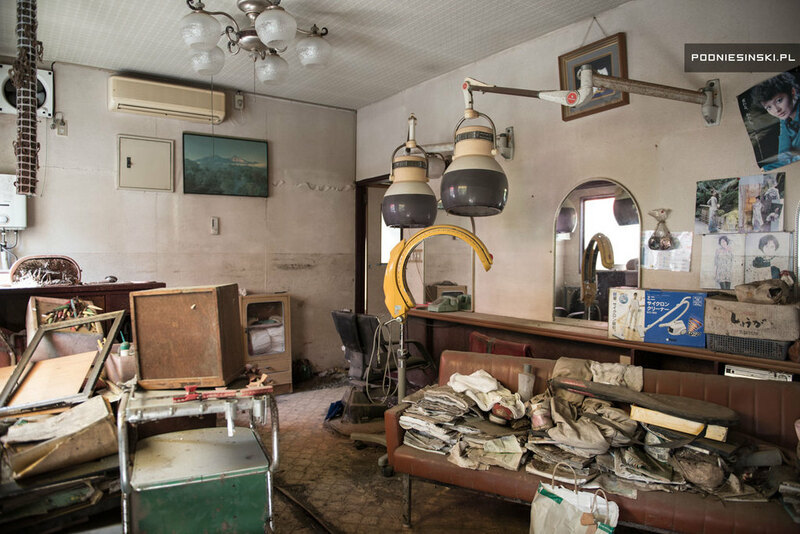 When taking photographs of the interiors of the buildings the similarities to Chernobyl are even more striking, although in Chernobyl, after almost 30 years since the disaster and thousands of tourists visiting it, it is hard to find any untouched objects. One time a teddy bear is lying completely covered with gasmasks, and a month later it is next to the window, put there so that a tourist could take a photograph in better light. These are things that were staged subsequent to the incident. 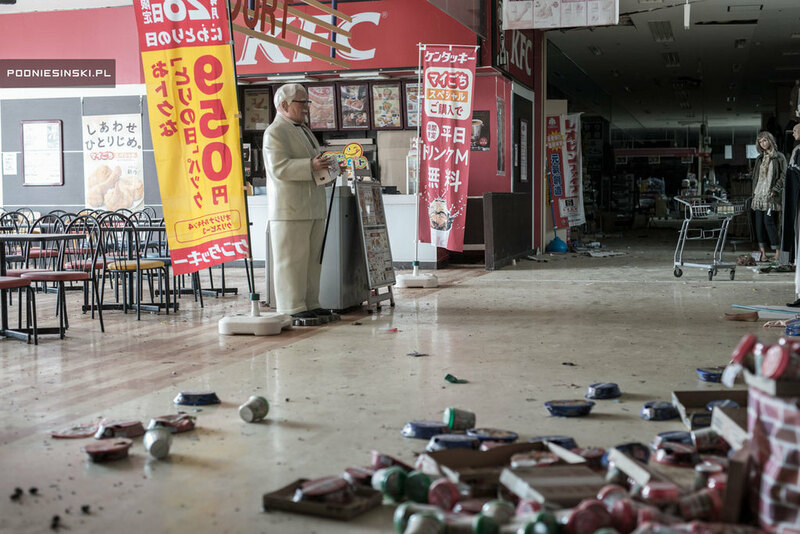 In Fukushima, the disaster remains seared into the memories of residents, the evacuation order still in force, and the total lack of tourists mean that everything is in the same place as it was four years ago. 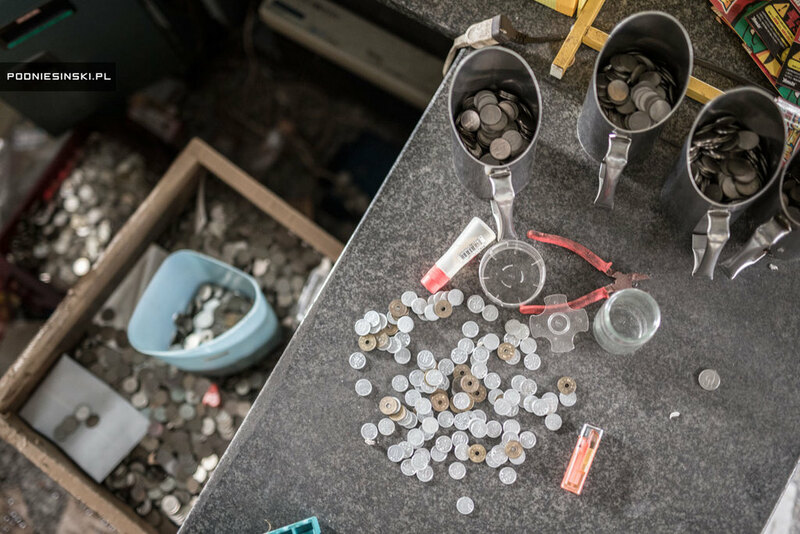 Toys, electronic devices, musical instruments, and even money, have been left behind. Only a tragedy on this scale can produce such depressing scenes. 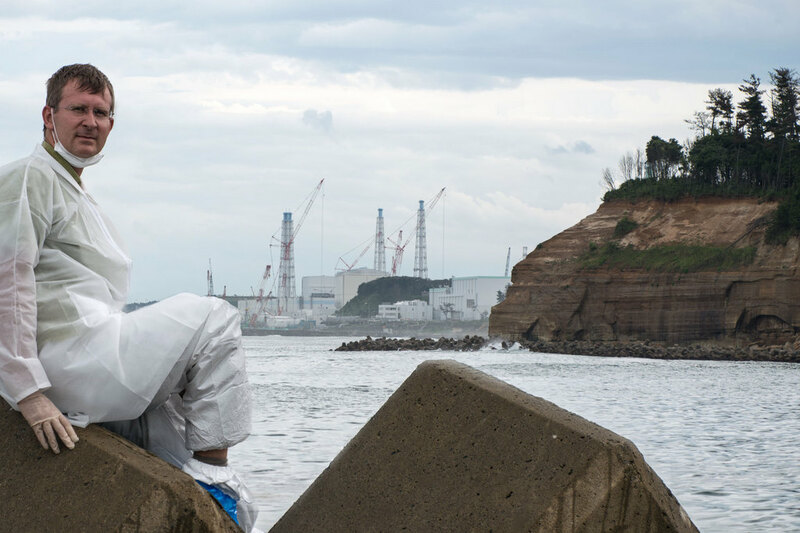 I came to Fukushima as a photographer and a filmmaker, trying above all to put together a story using pictures. I was convinced that seeing the effects of the disaster with my own eyes would mean I could assess the effects of the power station failure and understand the scale of the tragedy, especially the tragedy of the evacuated residents, in a better way. 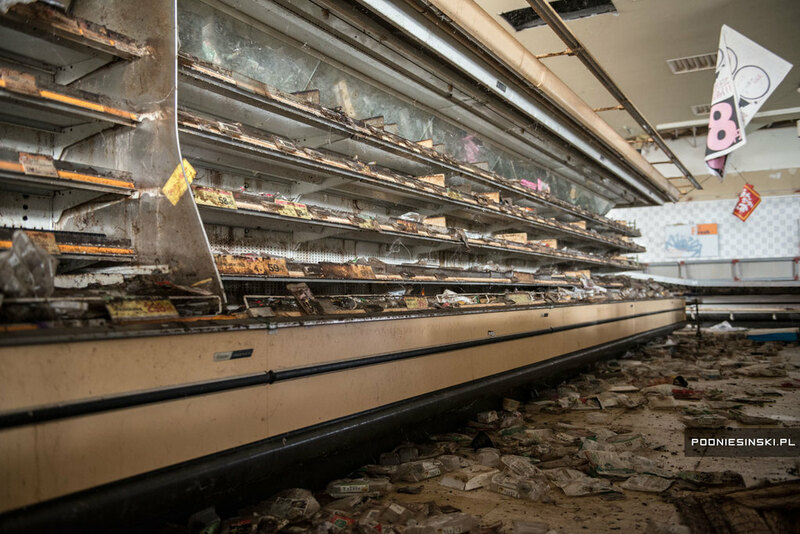 This was a way of drawing my own conclusions without being influenced by any media sensation, government propaganda, or nuclear lobbyists who are trying to play down the effects of the disaster, and pass on the information obtained to as wider a public as possible. 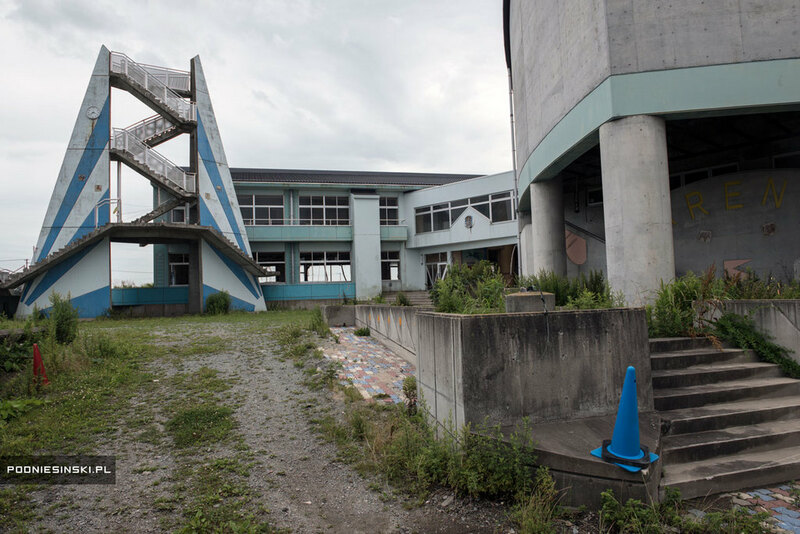 This was only the first trip, I am coming back to Fukushima in the autumn, and there is nothing to suggest that I will stop in the near future. This should not be understood as a farewell to Chernobyl, I will be visiting both places regularly. Have we learnt anything since then? Very impressive stuff mate and gorgeous photos. excellent, thanks for sharing, always wondered what it would be like here. That's incredible mate, thanks for exploring it (so we don't have to!) and also for sharing it. WOW, that is something else. Thanks for sharing your experience and photos, it's a great read. Really enjoyed that! Great pictures and write up! Wow, quite an amazing report. Well done getting the permits required, and for the huge effort it must have taken to pull this off. Fantastic report mate enjoyed reading that! Really nice report. Thanks for sharing!